We are at a pivotal point in time. Women are beginning to recognize that much of the care they are provided during pregnancy and childbirth is not only unnecessary, but often harmful. They are beginning to understand that their babies are NOT better off for the medicalization of the birth process and now their own lives are at risk. The maternal and neonatal mortality rates in the U.S. are some of the worst of all developed countries. The American College of Obstetricians has recently affirmed women’s rights to make decisions for themselves and their babies during childbirth. Of course the concept of autonomy is the cornerstone of the midwifery practice model. This year our advocacy group, Your Birth Your Choice, is joining with Improving Birth to promote the BEST maternity care for women in the United States and around the world. We are looking for volunteers to help us host a rally in northern New Jersey. New Jersey has the 2nd highest cesarean rate in the country. Cesarean section is of course necessary and lifesaving at times but, without a doubt, overused and riskier than vaginal birth. We have a long way to go to Improve Birth in this state but it CAN BE DONE! We will need many families to help us as we work with Improving Birth. We have listed a few ways you can be part of this wonderful, positive movement toward change. 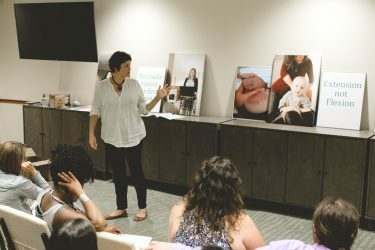 Volunteer with Your Birth Your Choice – this is the advocacy arm of the Midwives of New Jersey. The group is comprised of the Midwives’ clients who want to stay involved with our organization, promote midwifery care and help other moms have healthy, happy pregnancies and births. If you are interested, contact Donna Scales at the midwives’ email address midwives@midwivesofnj.com . Become a Member – join Improving Birth and help women across the country have healthy happy births. Invest in Improving Birth’s Cause – consider making a donation to support this great organization. No one has to give a lot if many give a little! Participate in an Improving Birth Rally – we are just starting to plan our rally. Hope you can join us on Labor Day for our Rally – time and place to be announced. Sponsor a Rally – Look into Improving Birth’s sponsorship packages to appeal to local and national business and organizations – helping your company raise brand awareness and increase exposure of your products and/or services among a growing and targeted audience of parents, parents-to-be, and birth-related professionals. Stay informed, check out Your Birth Your Choice facebook page!